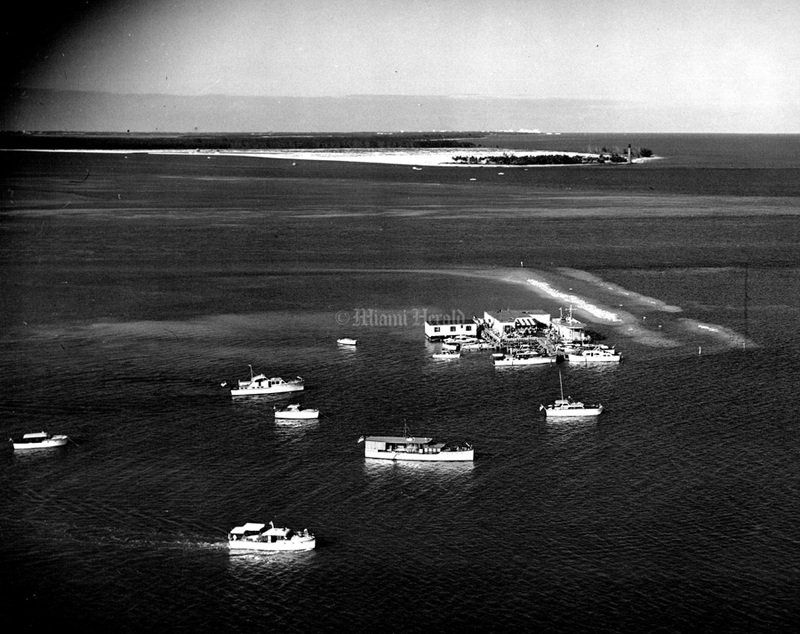 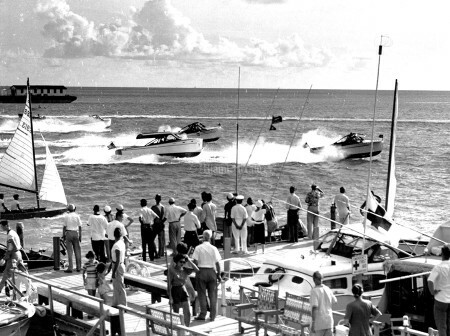 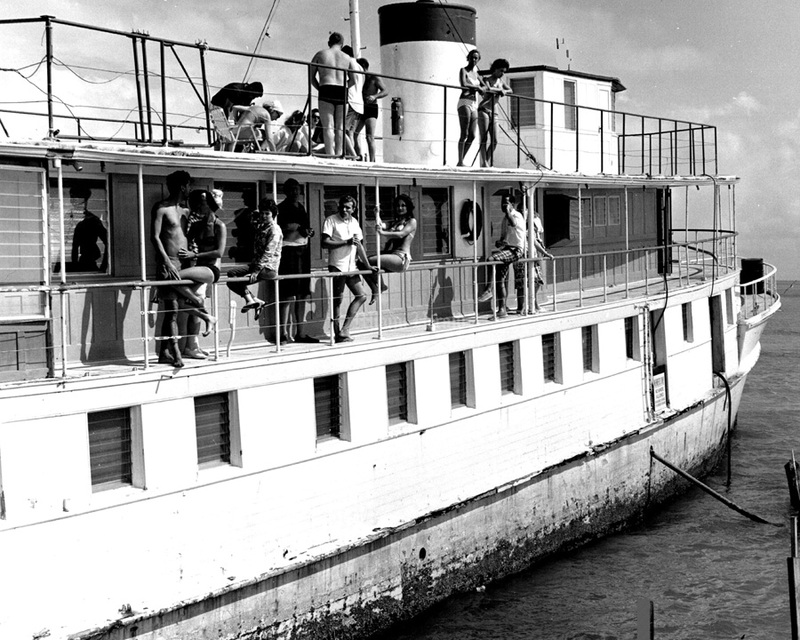 Biscayne Bay became known as a party place in the early 1940s after Commodore Edward Turner built the Quarterdeck Club on a barge a mile south of Cape Florida, near an area eventually known as Stiltsville. The club, which had a bar, a dining room, a game room and charter members with vice-commodore titles, was featured in Life magazine in 1941 as “an oceanic heaven” where commuting to the mainland was done by speedboat. 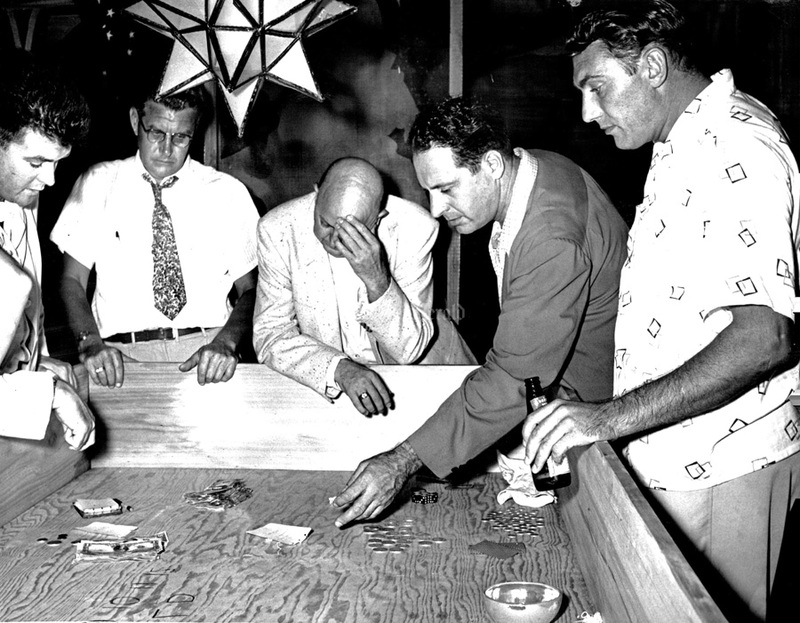 After World War II, the watery playground was raided on suspicion of gambling though no evidence was found. Twenty-one years of checkered history ended September 5, 1961 when it burned to the water’s edge. 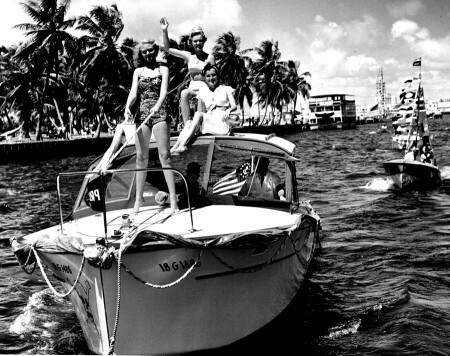 3/7/1965, Walter H. Marks: Bikini Club. 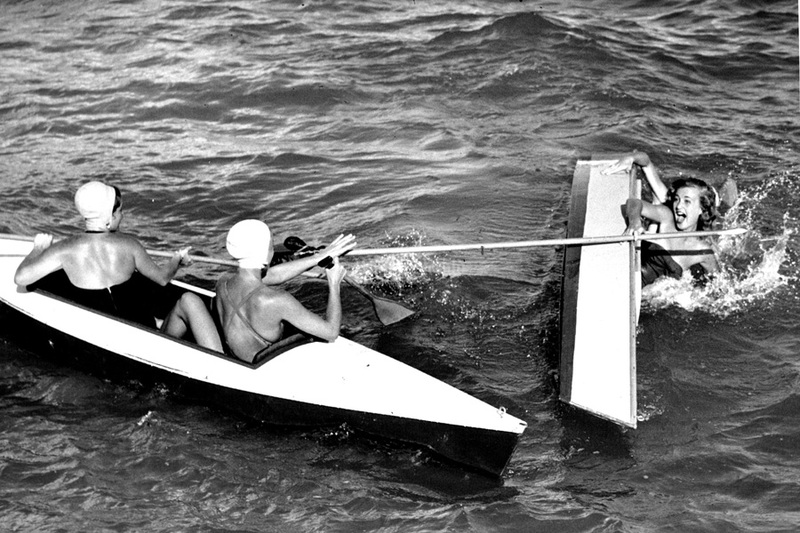 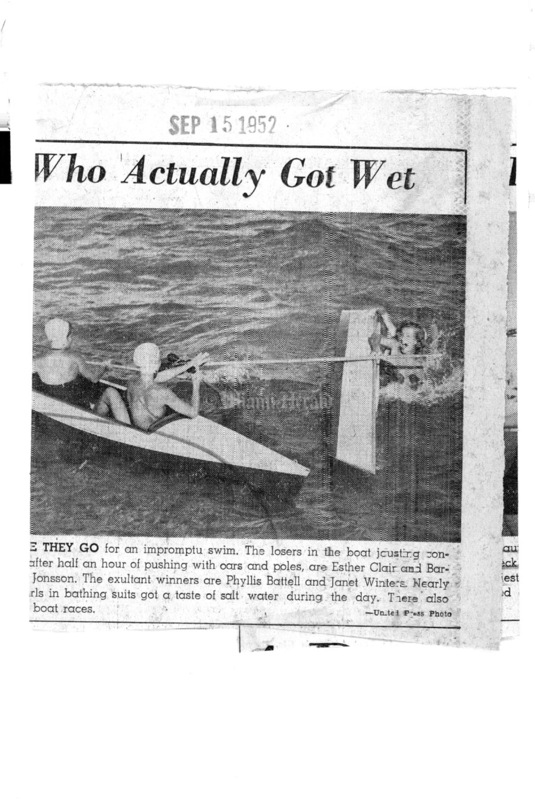 9/15/1952: There they go for an impromptu swim. 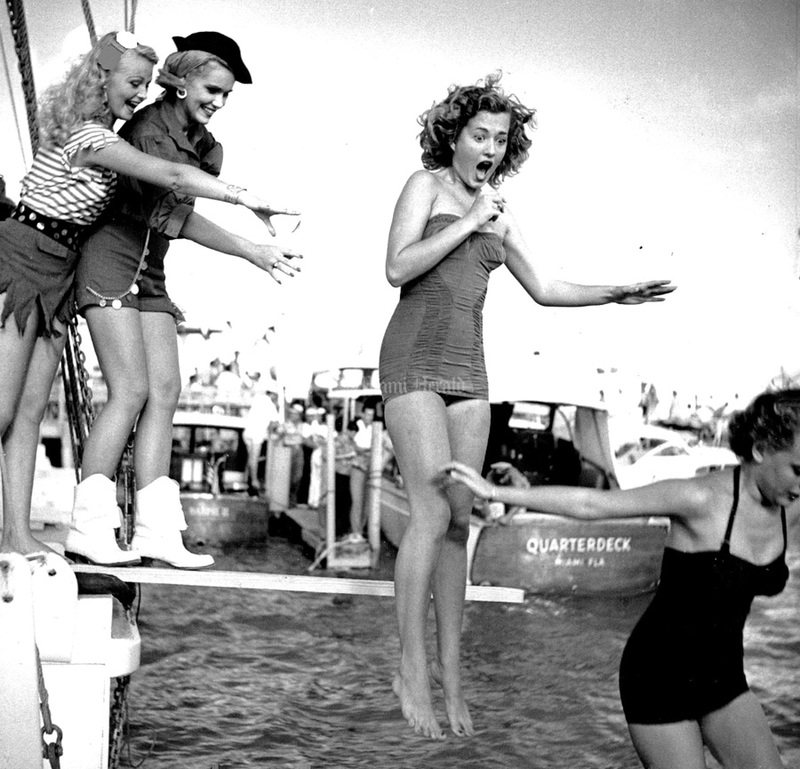 Copyright © © The Miami Herald 1952 [Stiltsville;cheesecake] 9/14/1952: Stan Wayman/Miami Herald Staff -- Pirate princesses push bathing beauties into the sea. Left to right: Iris Maxwell, princess; Barbara Johnson, queen; Esther Clair; and Jeri-Ann Semrad. 9/13/1952: Stephania Hrycek poses proudly with her new 24-foot Prowler, just before it was launched by builder Forest Johnson. 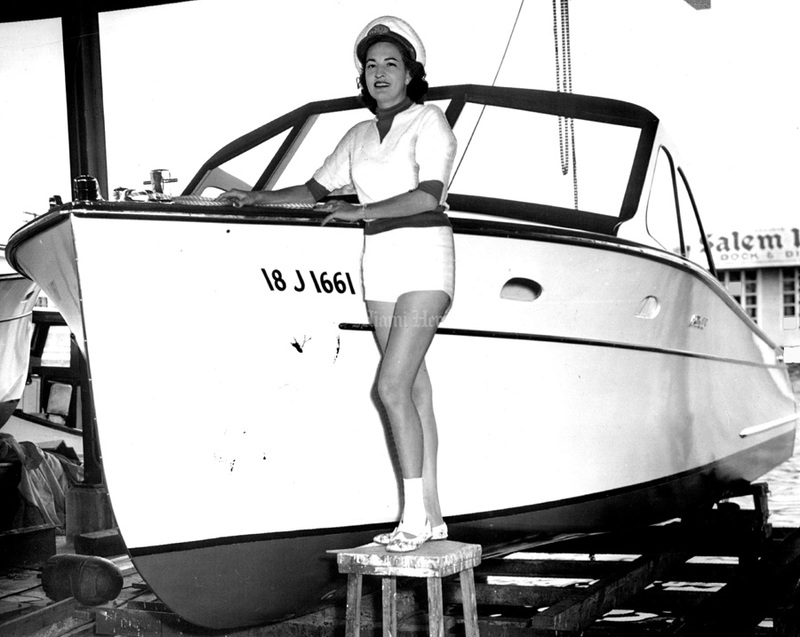 She will drive the swift craft, powered by two Universal engines, in cruiser contests during the Marines Fiesta today and Sunday at the Quarterdeck lub in South Biscayne bay. 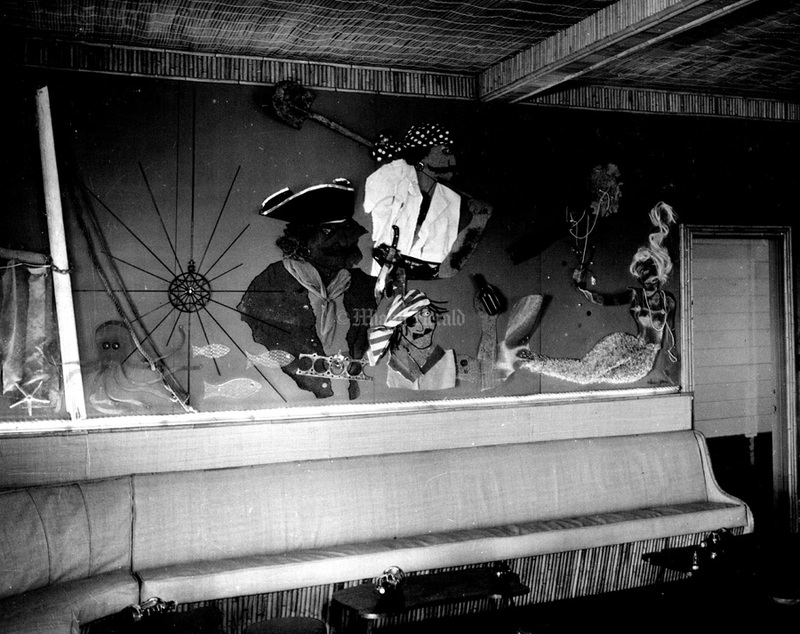 Undated, Carl Walden: Quarterdeck Club. 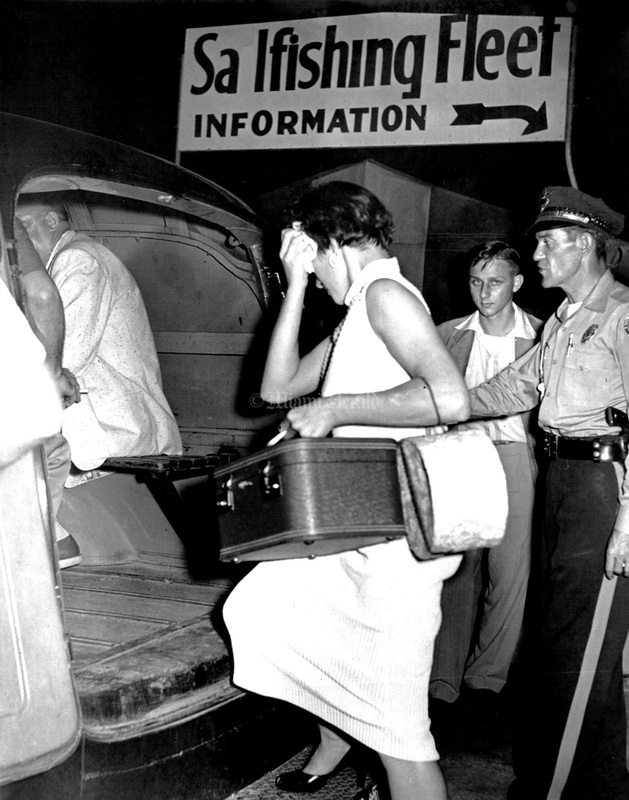 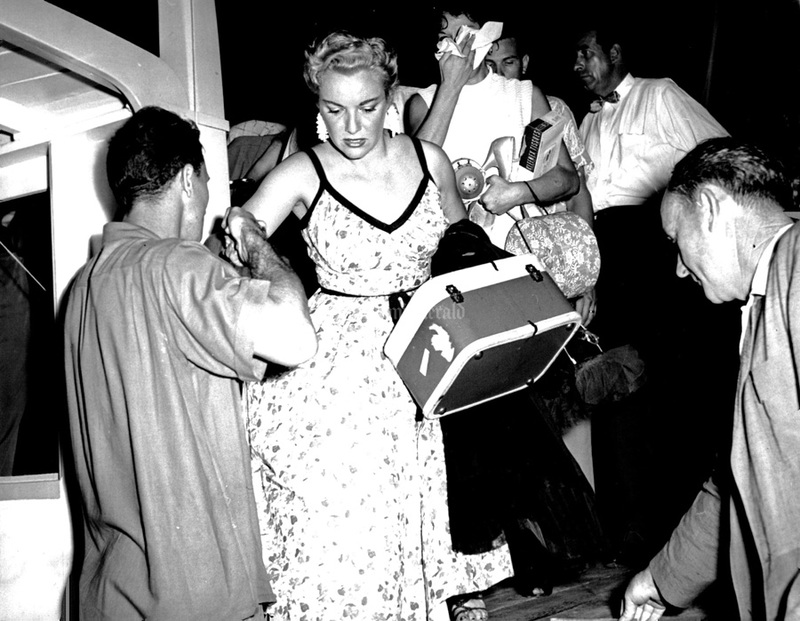 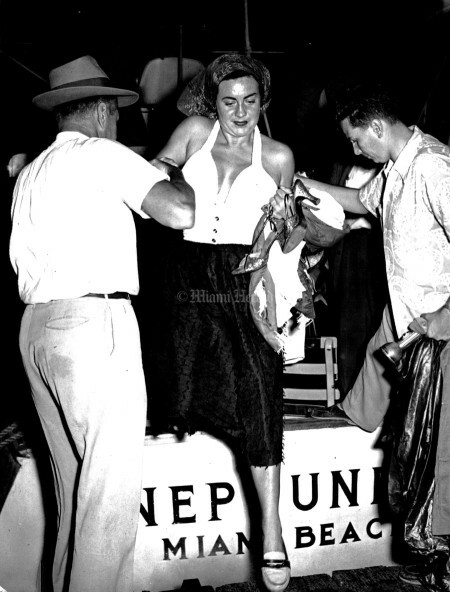 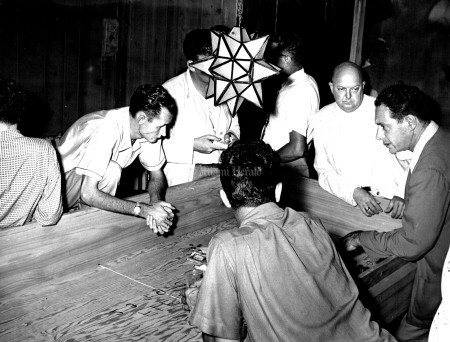 Copyright © © The Miami Herald 1954 7/22/1954: Doug Kennedy/Miami Herald Staff -- Quarterdeck Club raid. 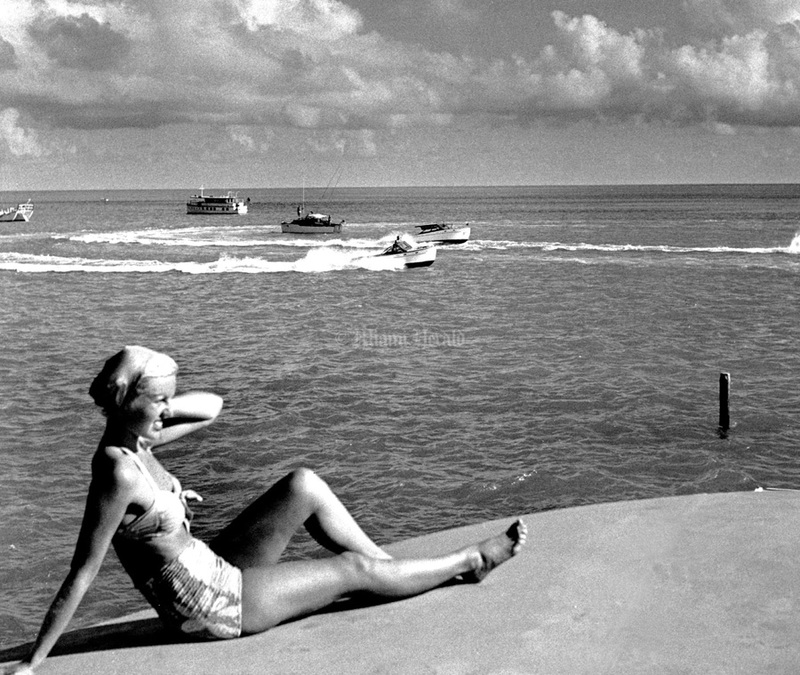 Copyright © © The Miami Herald 1952 [Stiltsville] Published 10/5/1952: Stan Wayman/Miami Herald Staff -- Mrs. John D. Chesnut, Mrs. DeVere Curtis. 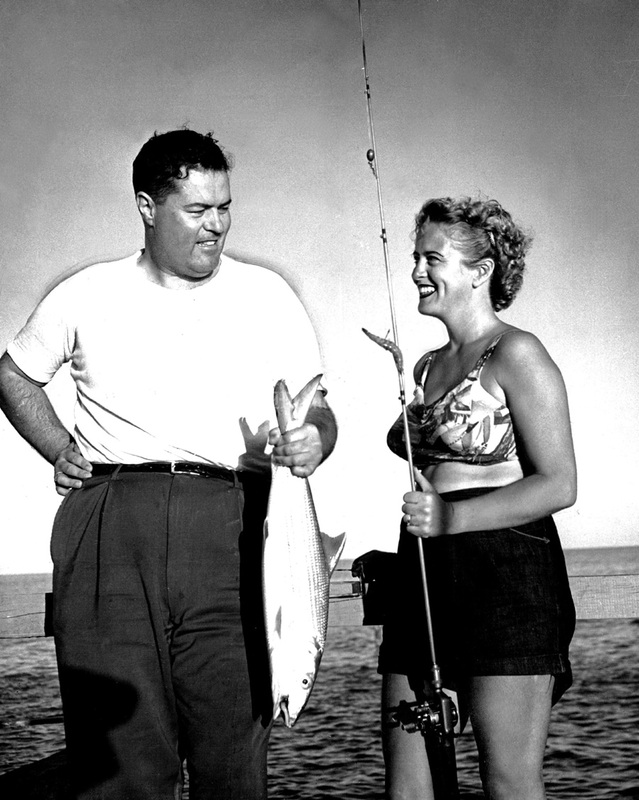 Ardent fishermen are these two Key Biscayne residents, Mrs. John D. Chestnut, left, and Mrs. Devere Curtis. 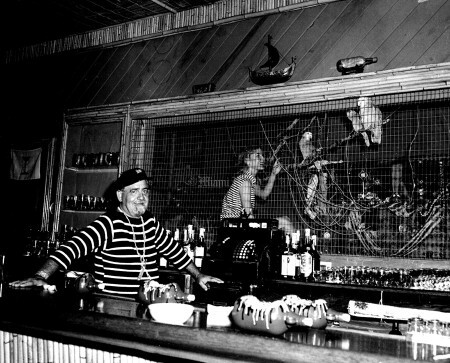 They catch fish, too, and enjoy nothing better than to spend hours with rod, hook and line. Waters around the Quarterdeck Club, where they are shown on a recent outing, are favorite fishing grounds for these two. Copyright © © The Miami Herald, 1952 [Stiltsville] Published 10/5/1952: Stan Wayman/Miami Herald Staff -- Mrs. John D. Chesnut, Mrs. DeVere Curtis. Ardent fishermen are these two Key Biscayne residents, Mrs. John D. Chestnut, left, and Mrs. Devere Curtis. They catch fish, too, and enjoy nothing better than to spend hours with rod, hook and line. 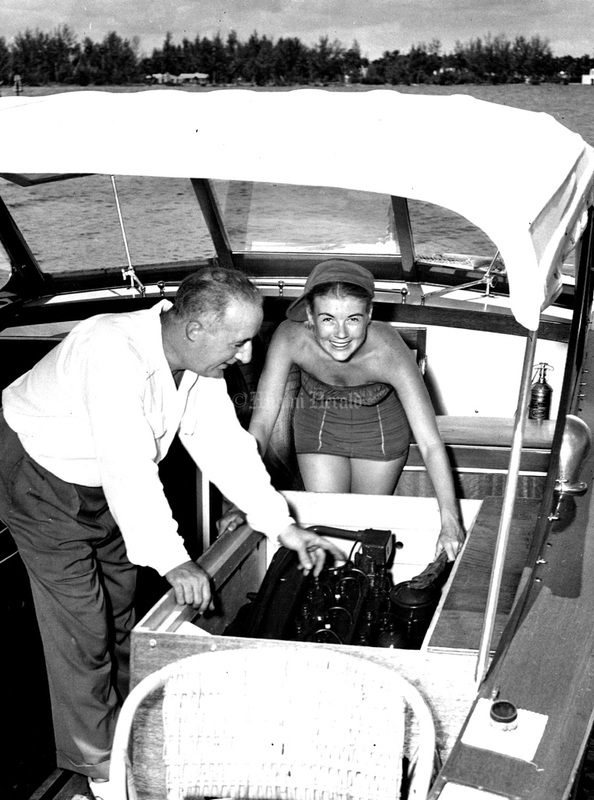 Waters around the Quarterdeck Club, where they are shown on a recent outing, are favorite fishing grounds for these two. Undated: Doug Kennedy/Miami Herald Staff -- Quarterdeck Club raid. 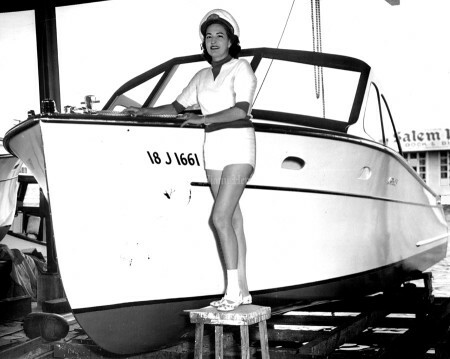 Undated: Barbara Johnson, Queen Irving and Irsl Maawll standing on boat. 9/14/1952: Miami Herald Staff Photo -- Start of Prowler race. 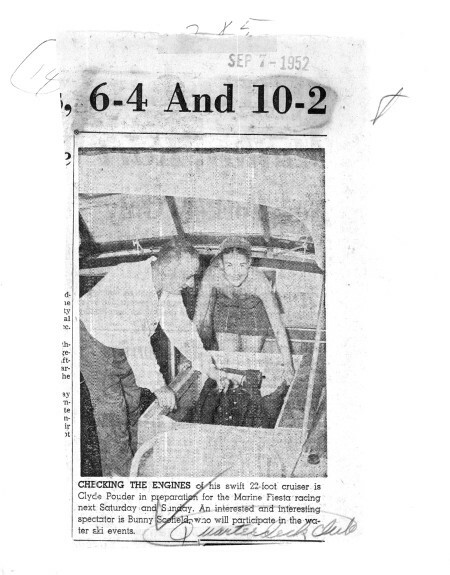 9/7/1952: CHECKING THE ENGINES of his swift 22-foot cruiser is Clyde Pouder in preparation for the Marine Fiesta racing next Saturday and Sunday. An interested and interesting spectator is Bunny Scofield who will participate in the water ski events. 9/14/1952: Stan Wayman/Miami Herald Staff -- Fiesta races with Jan Winters in foreground. 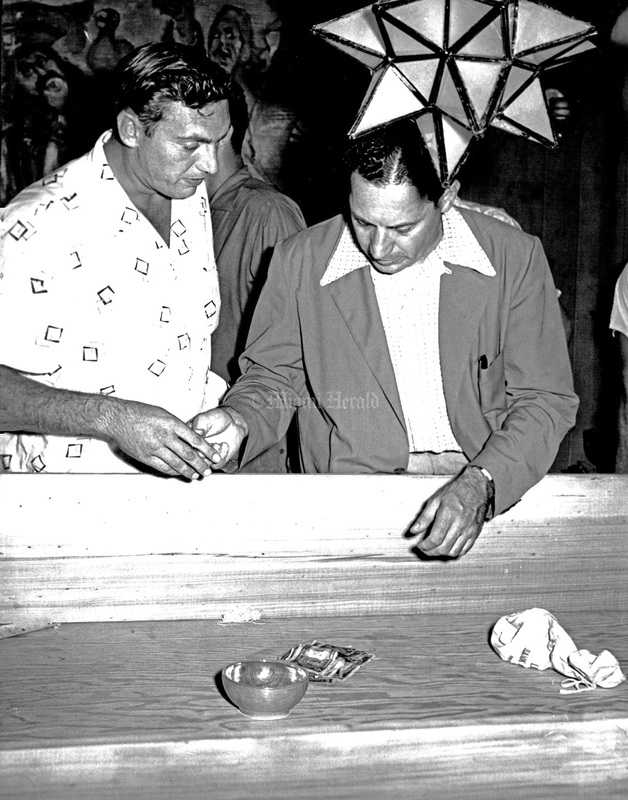 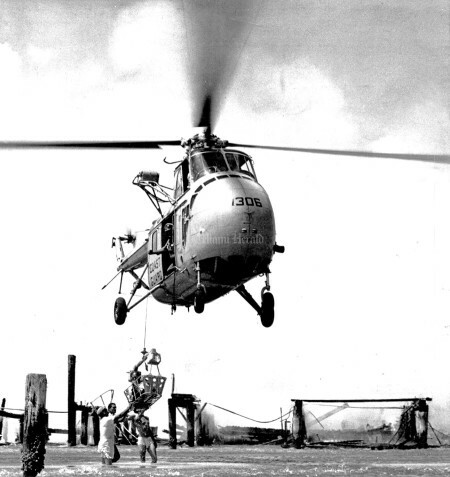 9/6/1961: Sal Maugeri/Miami Herald Staff -- Coast Guard helicopter hauls Quarterdeck Club Owner aboard; Kark Mongelluzo was flown to Mercy Hospital for treatment. Twenty one years of checkered history ended in a burst of flames Tuesday for the frequently raided Quarterdeck Club, the rambling old structure on the flats of Biscayne Bay. 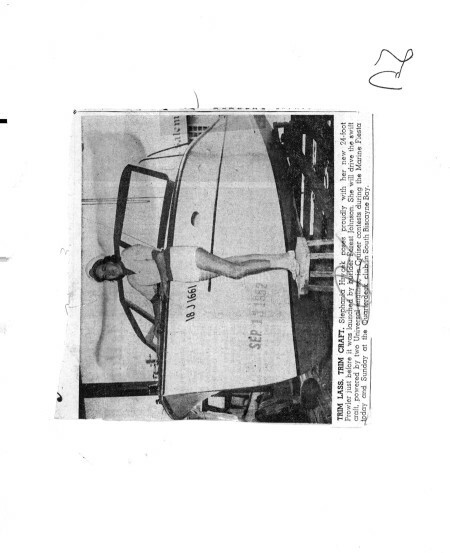 It burned to the water's edge. 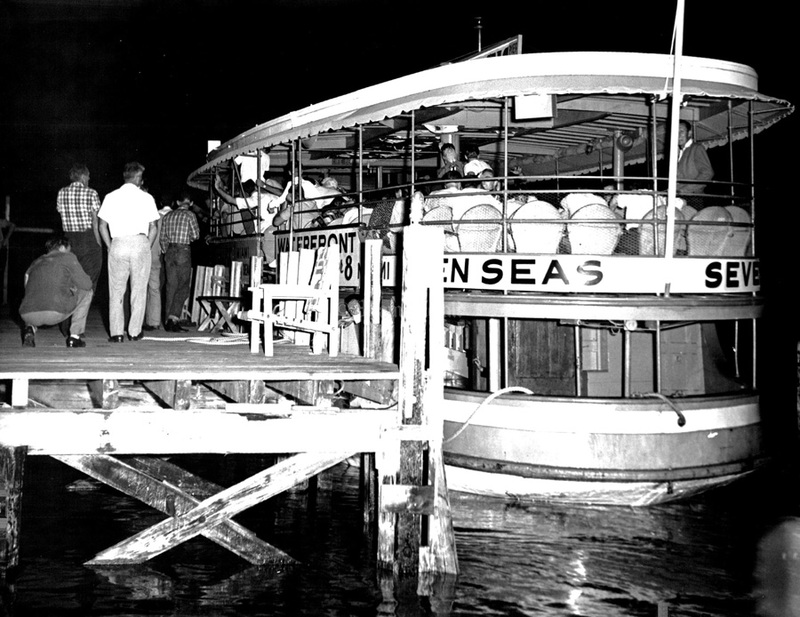 Karl Mongelluzo, 61, the last of a long string of owners, told Metro Fire Department investigators the fire actually began about 10 p.m. Monday when a generator on the 106-foot long boat docked beside the club caught fire. 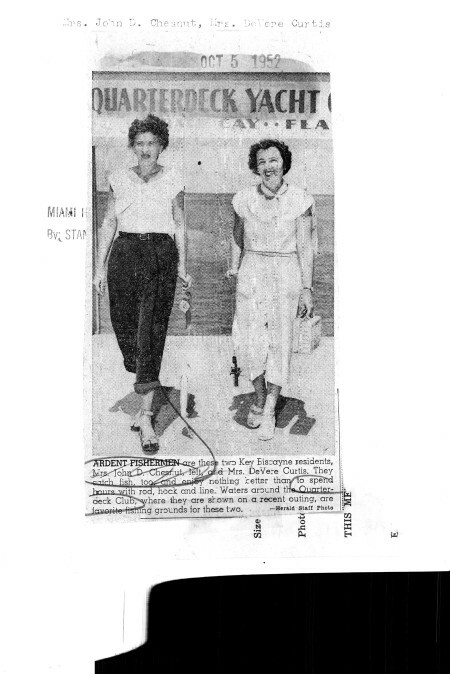 1/1952: Miami Herald Staff Photo -- Quarterdeck Club House. 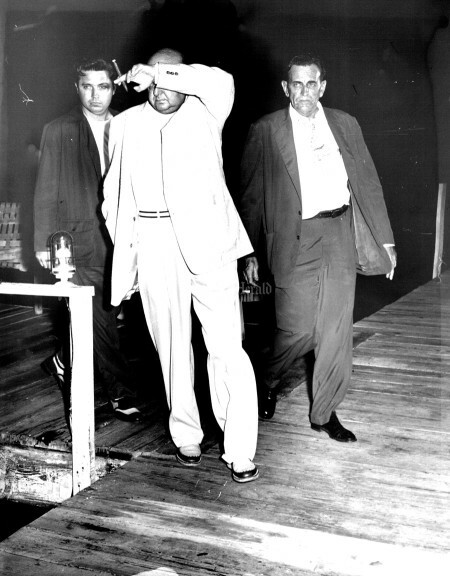 This photo has been retouched by the original newspaper artist to outline the man's shirt. 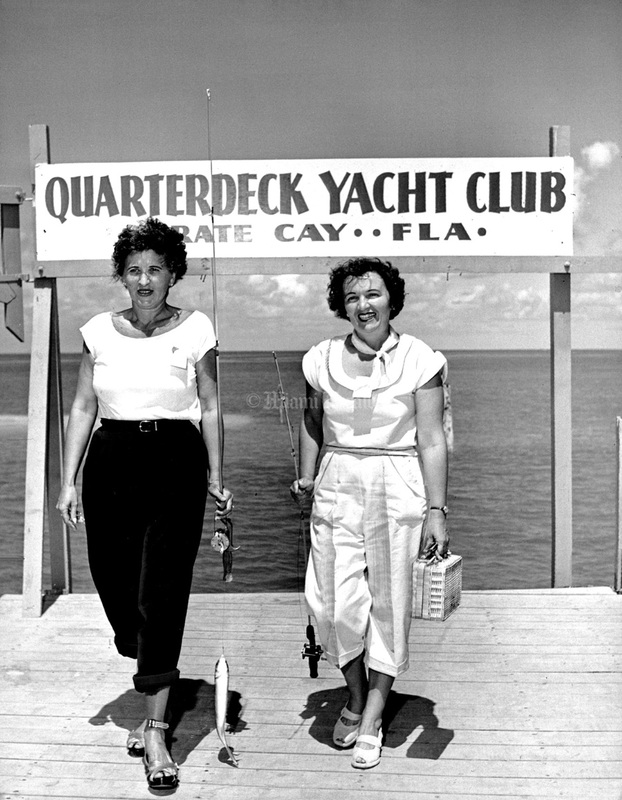 1952, Carl Walden: Quarterdeck Club.